Barbera is a red-wine grape originating in the Piedmont (Italian, Piemonte) region of Italy, which remains its principal source, though it is now widely grown around the world. It is not a world-class wine, but is a sturdy, workmanlike red that can nevertheless on occasion approach greatness; it is often said, only partly in jest, that Barbera is what the Piemontese drink while they wait for their Nebbiolo to mature. Barbera is a classic high-acid wine, to the extent that that quality needs moderating if the wine is to be well-made. But it is also naturally a very low-tannin wine. In modern times, there has been a substantial move toward aging Barbera in oak, to help with those issues and others. Also, vineyard practices, especially holding yields down, have helped the grape move up the quality ladder. While Barbera is grown in widely scattered areas throughout the world's wine regions, it is taken seriously as to quality and quantity chiefly in California. There, while it was long a "jug wine", it has for some time been treated by many winemakers as a potentially high-quality wine. Plantings in the Pacific Northwest—Oregon and Washington—are to date generally less successful. Barbera, with its acids, ages very well. "Bare" (unoaked or only lightly oaked) Barbera tends to a definite nose and taste of a cherry-like quality; oaked Barbera picks up the usual mild vanilla tones of oak, as well as some darker-fruit qualities (it moves, that is, from cherry toward plum). Because Barbera is so acidic, there is a tendency on the part of vineyardists to let it hang long, so as to develop more sugars to balance the acid, but care must be taken not to overdo it; Barbera made from grapes left too long on the vine tend to an undesireable slightly sweet or raisiny quality. Barberas can be made anywhere from medium-bodied up to quite big and heavy. Factoid: Recent DNA evidence suggest that Barbera may be related to the French-Spanish vine Mourvèdre (Spanish, Monastrell). "When young, the wines offer a very intense aroma of fresh red and blackberries. In the lightest versions notes of cherries, raspberries and blueberries and with notes of blackberry and black cherries in wines made of more ripe grapes. Many producers employ the use of toasted (seared over a fire) oak barrels, which provides for increased complexity, aging potential, and hints of vanilla notes. The lightest versions are generally known for flavors and aromas of fresh fruit and dried fruits, and are not recommended for cellaring. 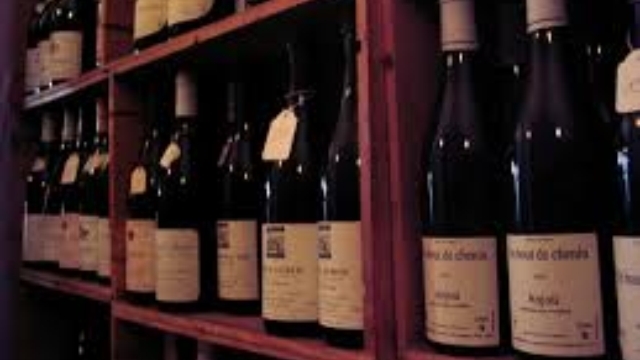 Wines with better balance between acid and fruit, often with the addition of oak and having a high alcohol content are more capable of cellaring; these wines often result from reduced-yield viticultural methods. . . As with many grapes that are widely planted, there is a wide range of quality and variety of Barbera wines from medium bodied, fruity wines to more powerful, intense examples that need cellaring. Some characteristics of the variety are more consistent—namely its deep ruby color, pink rim, noticeable levels of tannins and pronounced acidity. . . The use of oak for fermentation or maturation can have a pronounced influence of the flavor and profile of Barbera. Barrel-influenced Barberas tend to be rounder, richer with more plum and spice notes. Wines made with older or more-neutral oak tend to have more vibrant aromas and cherry notes. While some producers delay harvest in order to increase sugar levels as a balance to Barbera's acidity, over-ripeness can lead to raisiny flavors." "As with Nebbiolo, there is considerable debate over how Barbera is best treated; traditionalist favor longer maceration and less oak, while modernists champion rounder, more approachable styles softened by barrel maturation. Being naturally high in acidity, Barbera can be grown in warmer climates without producing overblown, flat wines. . . This acidity complements the cherry flavors found in typical Barbera wines, and has contributed to the (largely justified) stereotype of Italian red wines as being ripe, bright and tangy rather than voluptuous and earthy. When young, most Barbera wines have a bright-red cherry character, distinguished from Nebbiolo (which often overshadows Barbera) by softer tannins and a certain roundness. When matured in barrel and allowed to age in bottle for a few years, this turns to a denser, sour-cherry note. A warm Merlot-like plumminess is also commonly detectable, although the variety is more closely related to Mourvedre than Merlot. When overheated, a Barbera vine will produce comparatively flat, dull wines with notes of baked prunes and raisins, while its trademark cherry flavors turn towards kirsch. Barbera reaches its zenith in Piedmont (see Barbera d'Asti and Barbera d'Alba), where the vine performs particularly on well-drained, limestone-rich slopes with a warm southerly aspect." "Barbera's natural excess of acidity and shortage of tannin are accentuated at high yields. But if Barbera is grown on sites specifically suited to it and pruned carefully, more concentrated wines are the result. They still have rather a shortage of tannin however, but this can be counterbalanced by oaking and the additional framework of oak tannins. Which still leaves that high acidity. Many modern winemakers quietly deacidify Barbera (by adding harmless calcium carbonate for example) to give it extra appeal in an age when wine consumers are - wrongly in my view - taught to be shy of acidity. Fermentations tend to be shorter than those of Nebbiolo but longer than for Dolcetto. Barbera is not intrinsically the most flavourful grape in the viticultural universe - vague blackberry quality plus tartness is about as close as one cam come to the essential flavour of Barbera. The army of oaked Barberas which has invaded the Piemontese wine scene (filling the price gap between basic Barbera and Dolcetto and the wines of Barolo and Barbaresco) have tended to rely quite heavily on the oak itself for aroma. Time has shown that as these Barberas age, the oak increasingly dominates, as what little fruit the Barbera itself contributed fades. Few oaked Barberas are better at 10 years than they are at five." "Barbera has plenty of qualities that would seem to make it a likely household name: fairly soft tannins, an ability to age well, and bright, lively acidity. . . Why are there so many self-proclaimed "Pinot-philes" but relatively few "Barbera-ites"? One of the problems may be Barbera's bewildering variety of types. Barbera comes in so many guises—from big, broad-shouldered examples to light-bodied and charming wines—that would-be Barbera drinkers don't necessarily know what they'll find. There's also the matter of how the wine is made, which can vary and further confuse drinkers. 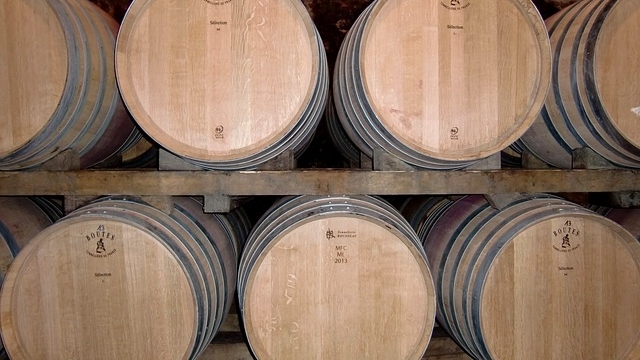 Some Barberas are aged in new French barriques (small barrels), which impart perceptible tannins and a certain spicy bouquet, while others are aged in several years old large barrels. Some go directly into stainless steel tanks, producing wines that are fresh and juicy but not very complex." "The wines are usually ruby red in colour with notably low levels of tannins. They have a pronounced acidity that can be accentuated by overproduction. Barbera wines range from light, tart mouthwashers through to powerfull, intensely flavoured wines that require extended cellaring." "Somehow Barbera wine tastes both rich and light-bodied. Why is that? Well, one reason is that it has dark staining pigments that dye the wine to near-black. However, the taste of Barbera has notes of strawberry and sour cherry: flavors synonymous with light-bodied wines. Light tannin and high acidity make it taste ‘Juicy’. Most of the Barbera you’ll find is from Italy which leans towards more herbaceous flavors." "Barbera is unlike any other red variety that I know in that, although its skins are deeply colored, giving us dark-colored wines, it also has very high acidity, but practically no tannin! Piedmont Barberas are crisp and refreshing, resembling white wine, without the mouth-drying tannins of most reds. Once you savor its flavors, however - mainly tart cherries and berries, along with spiciness - you know you're drinking red wine. Barberas are not big reds; they are generally medium-bodied. Their high acidity comes in handy in hot vintages, such as Europe's 2003 and 2000, when other red wines suffered from high alcohol and over-ripeness, but Barbera's high acidity enabled it to deal with the alcohol. Because Barberas are not huge, yet do have racy acidity, they pair well with many dishes. . . Even though the Barbera d'Alba and Barbera d'Asti zones are contiguous, there is a distinct difference in style between Alba and Asti Barberas. Barbera d'Alba, growing in the same relatively warm south-facing hillsides that produce Barolo and Barbaresco, as well as around those two districts, tends to be fuller-bodied and rounder, with slightly less acidity than Barbera d'Asti, and generally has darker fruit aromatics. The typical Barbera d'Asti is lighter-bodied and livelier with more tart fruit flavors and more acidity than most Barbera d'Albas. But Barbera d'Asti made from old vines and aged in barriques (a development which has gotten more commonplace during the last two decades) can be as full-bodied as any Barbera d'Alba." "Most producers took two steps to bring the grape into the spotlight. The first was greater ripening, in most cases attained by planting the grape in choicer sites. The second key to success was to age the wine in French oak. Barbera makes dark wines that are low in tannins – an unusual combination, since both color and tannins come from the skin of the grape, and the opposite of the orange-tinged, paler Nebbiolo with its immense, weighty tannins. New French oak lends wine tannins of its own, giving this newer style of Barbera the balanced structure it needs to support the added richness. The new combination of acidity and tannins also makes these Barberas much more age-worthy than their predecessors. The overall effect is like using a really good equalizer on your stereo; the rough edges are smoothed out and the bass becomes fuller, round, and rich. Many of the wines made in this newer style remind me of premium Zinfandel: dark fruits and creamy chocolate flavors, with gentle tannins. However, they aren’t so excessively alcoholic, and retain that characteristic acidity that means they can still find a variety of roles at the dinner table." "Wines made from Barbera are often medium-bodied, with firm acidity and flavors suggesting red cherries and spice. (Barrel-aged versions tend to be more full-bodied, as well as more expensive.)" Moderately priced Barbera is definitely a buyer's market: our biggest problem was to cut back the list of candidates to a manageable size. There do tend to be more Asti bottlings available in our price range, but some fine-looking Albas showed up as well. ♦ There are different expressions of the [Barbera] grape. It can be young and fresh, full of bright cherry flavor . It can also be a bit more serious, round with blackcurrant and plum notes, especially if it has been aged in oak barriques. La Spinetta’s Cà di Pian Barbera d’Asti 2009 falls toward this latter style. It’s aged in new and used French oak for 12 months and has a darker fruit profile full of dried plum and black cherries. It’s still soft and round, though, and extraordinarily easy to drink. ♦ Showier aromas of black cherry, plum and licorice, plus a chocolatey ripeness. Rich, plush, seamless and sweet, delivering glossy, chewy dark fruit flavors. Finishes subtle and impressively long, with very fine-grained tannins. and richly textured with a firm structure and a long finish. The 'Ca di Pian' spent 12 months in French oak, 6 months in steel and an additional 2 months in bottle before release, but it will be at its best [as of 2013] after another year or two in bottle. ♦ Very pure, offering black cherry and wild berry notes augmented by balsamic and earth accents. Intense, with fine grip and a lingering aftertaste of menthol and tobacco. ♦ [T]his 2007 Barbera d'Asti has a blast of fresh raspberry and cherry with a pleasant, toasty vanilla quality from barrel ageing. ♦ Pronounced fresh plums, berry and rose aromas - a real fruit feast. Cool blue fruit characters come through with a touch of sweet plum to finish. ♦ Renato Ratti Battaglione Barbera d’Asti is a perfect example of quality and approachability. Made by one of Barolo’s celebrated producers, the wine is textbook Barbera, delivering bursting flavors of cherries, strawberries, blackberries, and vanilla. It’s a fruit-forward wine that is incredibly easy to drink. While the tannins are present, they’re wonderfully subdued, allowing the lush fruit to shine through. I recommend serving the wine with a slight chill, even in winter. ♦ Dark garnet in color, this wine smells of cherry, tar, and hints of citrus peel. In the mouth, cherry, cassis and citrus peel mix with dark earth and muscular tannins. Excellent acidity. 13.5% alcohol. Score: around 8.5. ♦ Exceptional, and rich with the same unique brawniness you find in Piedmont’s cuisine. The aromas are hearty and fluent in the language of comfort: cured meat, fennel and tinges of tobacco overlaying a deep sour cherry fruitiness that is accentuated by swaths of acidity but not muddled by tannin. On the palate, it presents an herbaceous woodsiness that completes the picture. Lingers for a long time on the finish and improves with air. Truly a remarkable wine. ★★★★★ (out of five). ♦ Rich and powerful with dark berries, plums, cassis and a distant note of herbs and a slight tartness on the long finish, it can go the full distance and is a champion with a cheeseboard. ♦ [T]his was a really wonderful surprise. When we’d visited this very modern winery (with some of the most stunning views from the tasting room) the wines had impressed but not ‘wowed’ – but this bottle (and another subsequently drunk) actually had a ‘wow’ factor; clearly they’d benefited from a little greater age. So there really is sense in laying down wines till they are ‘ready’. 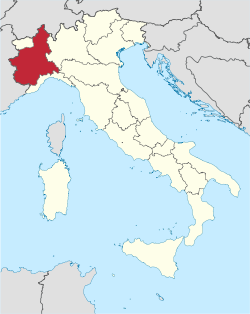 ♦ [T]his Asti bottling is built for power from a south-facing site (an exposure that is almost always reserved for Nebbiolo in the districts surrounding Alba). A year’s worth of time in oak has layered gutsy wood tannins atop the grape tannins, but the ripe, flavorful fruit powers right through them, providing a lingering sweetness that makes for a long, impressive finish. 90 points. ♦ Vietti's 2003 Barbera d'Asti "Tre Vigne" is the more powerful sibling of the Alba wine. Glorious mixed flavors of red fruits, mineral, brown sugar and graphite lead into dusty tannins; it's clearly a wine that will age will for another five years or more. ♦ As always, plush; marked earth and black fruit aromas and flavors. ♦ It is ruby purple in color, with ripe red cherry aromas and hints of mineral and vanilla. A soft dry, medium bodied red wine with refreshing acidity, a perfect pairing for food. Barbera d’Asti Tre Vigne is well balanced with good integration of oak, good complexity and a finish of more red cherries. Aged for 12 months in French and Slovenian oak casks, then in stainless steel for two months before bottling. This wine is unfiltered to retain its complexity. ♦ A medium-bodied, well-balanced wine with notes of dark, red fruit and a bit of spice. ♦ Lighter garnet hue with ample aromas of gentle cedar, slight licorice, sweet vanilla and cherry fruit. Palate--Lovely integrated flavors of cherry, white bread, green herbs and a beam of caramel or maple that is subtle but delightful. This is a really nice wine for the price ($15) and well constructed with a ready to drink presence. ♦ Good dark color, with a hint of animal and a note of licorice over black currant and blackberry on the nose that follows through on the palate with lovely ripe fruit and just a kiss of oak. Full-bodied, with excellent structure and a somewhat opulent, almost velvety texture; already drinking beautifully [2005 vintage in 2008], with great promise for further development over the next three to five years. 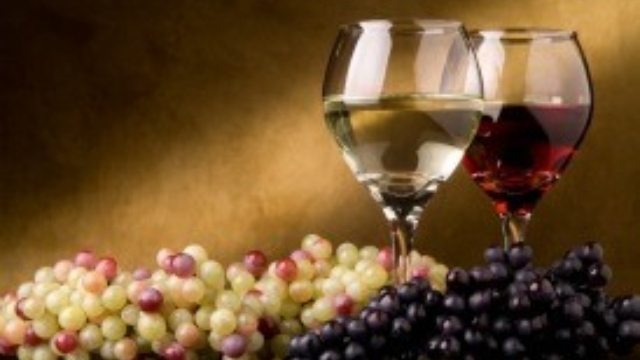 ♦ Italy is a huge source of reasonably-priced, food-friendly wines. This juicy, delicious 2010 Vietti Barbera d’Asti Tre Vigne, with its tangy taste of smoke, licorice and sour cherries is one of them. So it’s no surprise that it was one of the most-poured-wines-by-the-glass listed in Wine & Spirits Magazine’s 2013 restaurant poll. ♣ Some points given: 2010, 89 @ Wine Advocate; 2011, 90 @ Wine Advocate, 90 @ Vinous Media; 2012, 90 @ James Suckling. ♦ Good dark color, with earth, sticks, black currant and blackberry on the nose; a little less ripe in the mouth than the ’05 Barbera d’Asti Tre Vigne, with a little more earth, mineral and underbrush. Sleek, yet full bodied, well structured, long on the finish, and while not “rustic,” perhaps a little less “modern” than the Vietti Barbera d’Astis. ♦ If I had to choose one from among Vietti's less-expensive wines, the nod would go to the Tre Vigne Barbera d'Alba. In 2004, ripening conditions returned to normal after the devastation (from hail) of 2002 and the desiccation (from heat) of 2003. This is pure joy, with varied fruit flavors that defy description. A great food wine. (Unique). ♦ In the glass this [wine] is an obvious ruby red colour with hints of violet also showing. A degree of discolouration is just evident towards the rim of this [wine] that indicates the time spent in oak by this wine. On swirling, the legs of this [wine] are found to be fairly pronounced, with a declared alcoholic content of 14.5% abv. This is the upper limit for what you would expect to see from the alcoholic content of Barbera d’Alba. On the nose, this [wine] is pronounced. Ripe red cherry and slightly more tart dark cherry notes mingle amicably in the bouquet of this [wine], with a touch of oak providing the backdrop. Once in the mouth, this [wine] is a more meaty and weighted style of Barbera than Barbera d’Asti (as is typical of the Barbera d’Alba classification) and red fruit again reigns. Mixed cherries, plum and a fewer darker forest floor fruits predominate. The oak influence upon this [wine] is subtle but slightly sweet and the hallmark acidity of the Barbera grape runs through the palate of this [wine] and pushes the fruit briskly towards the finish. The tannin structure of this [wine] is chunky, but not too overt. On swallowing this [wine] slightly tart fruit and a note of kirsch remains. ♦ In the nose you’ll find black fruit, green herbs, earth and chocolate. In the mouth there is Barbera’s acidic trademark, with density of flavor and a fair amount of tannin very long. ♦ Ruby purple in color, the wine had soft tannins (the oak) and a nice finish. This medium red wine would be an excellent choice for pasta or light meats. ♦ Villa Sparina’s Barbera Del Monferrato Superiore 2012, is a very nice example of a modern take on Barbara. While the wine maker does not use oak to add tannins they do allow the malolactic fermentation… This rounds out what can otherwise be an acidic variety into a wine that makes a nice sipping wine as well as going great with food. The bright cherry notes are underlain with the flavors of plums and even a bit of cedar. Barbara’s are general very food friendly. This one would be great with a plate of cheese and charcuterie. ♦ [Google-translated from Italian:] Intense ruby ​​red color that results from the complete and perfect ripening of the grapes. Narrow, wide and deep nose with hints of black cherry, mint, pepper and vanilla. In the mouth it sticks in elegance, with full flavor, rich, soft and enveloping And with a fruity taste. • This wine seems to have no CellarTracker review pages.